Global trends in urbanisation causing transport congestion combined with the necessity for sustainable energy sources will increase the need for single tracked vehicles with a reduced urban footprint. 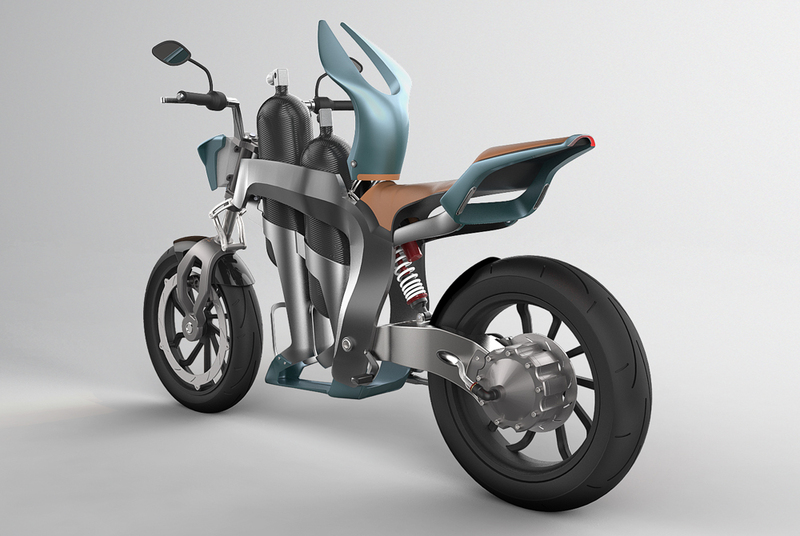 This project was an industry based project collaborating with the Car Design Research Network CDRN and Engine Air Australia. Engine Air Australia is a company focusing on the development of air motor technology based on a unique rotary piston concept. 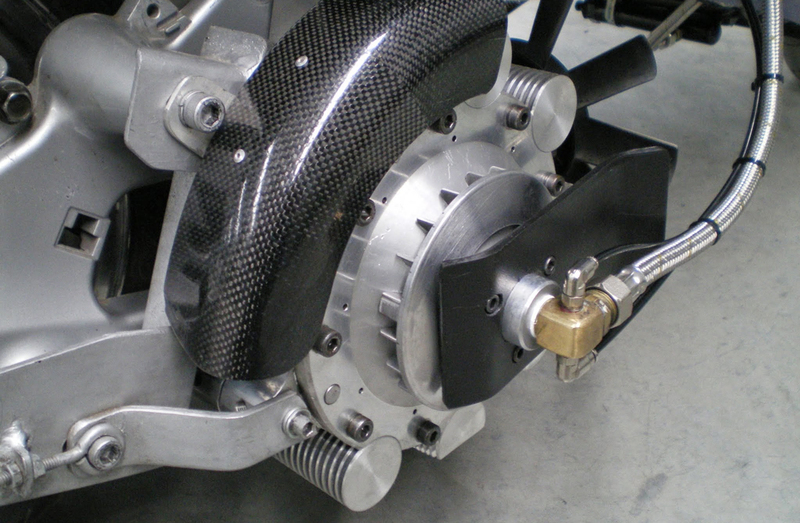 Different from conventional air motors, the Engineair motor invented by Angelo Di Pietro, has virtually eliminated vibration, internal wear and friction. Due to urbanization, the rising demand for comfort and new law regulations for novice riders, I made the assumption that the sales and focus on entry-level naked bikes would grow enormously in the coming years. 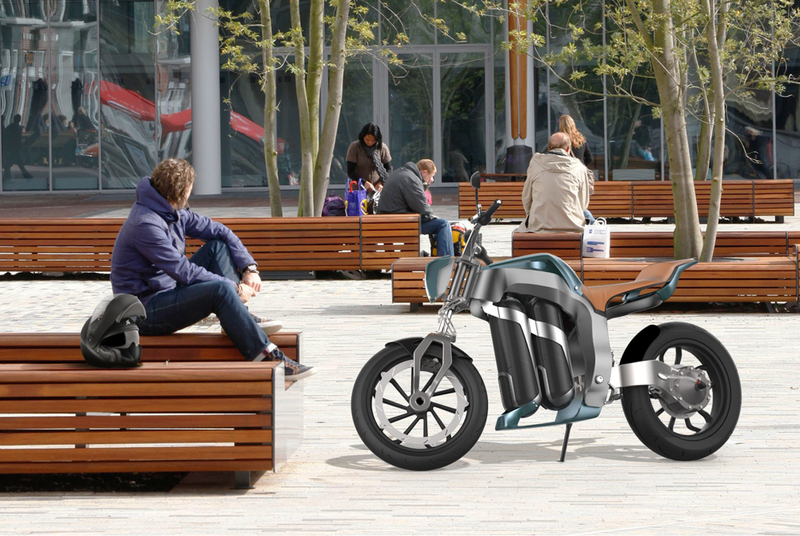 These motorcycles have an upright riding style, due to the placement of the handlebars and the fact that foot pegs and shifters are located almost below the waist. 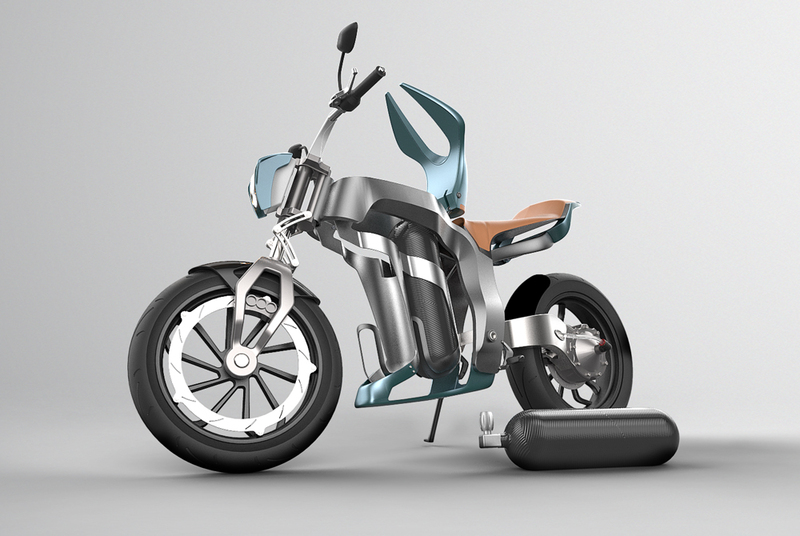 Naked bikes are, furthermore, characterized by an exposed engine, clamped headlight and relatively small or no fairings. 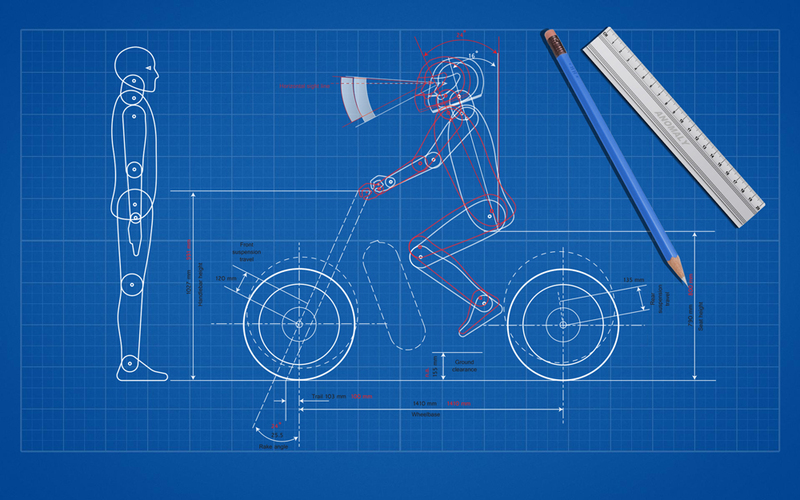 The human factors package enabled me to create a naked bike better suited to the human form so that the riding position would put less stress on the body and joints. 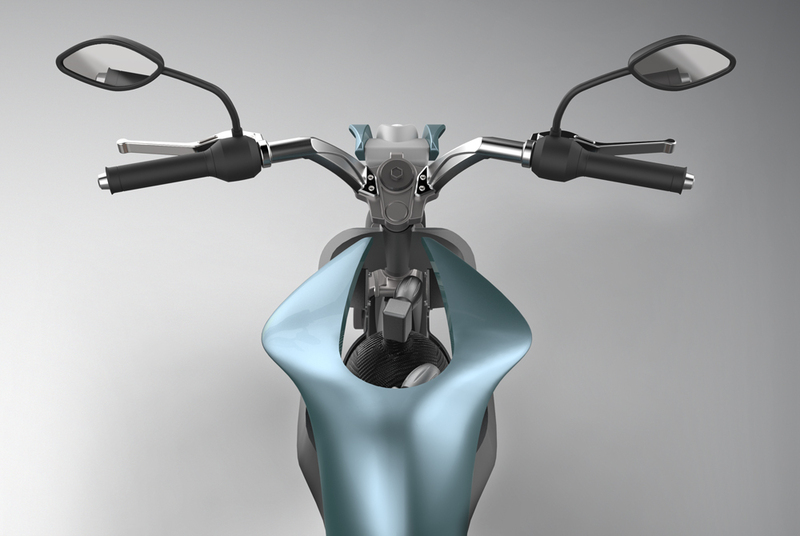 By studying the geometry of naked bikes I could use these dimensions as an underlay and starting point for the geometry of the Kangaroo motorcycle. 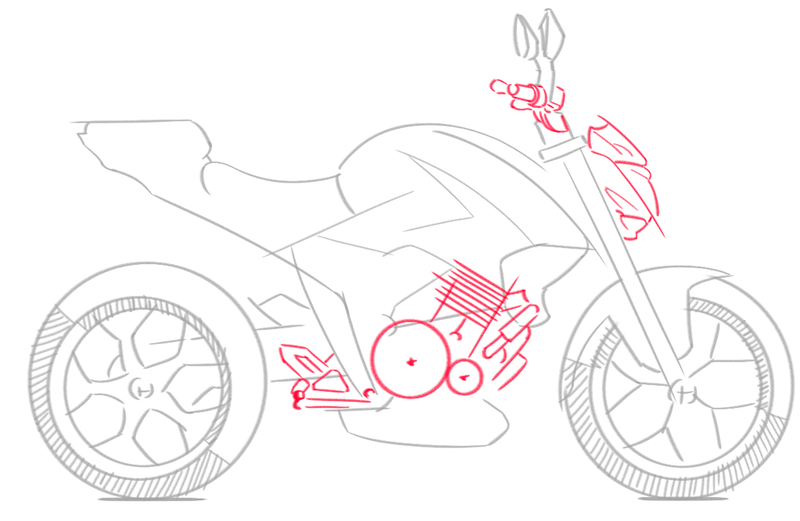 From my point of view, current naked bikes all have a similar basic geometry and lack a clearly defined visual focus point. 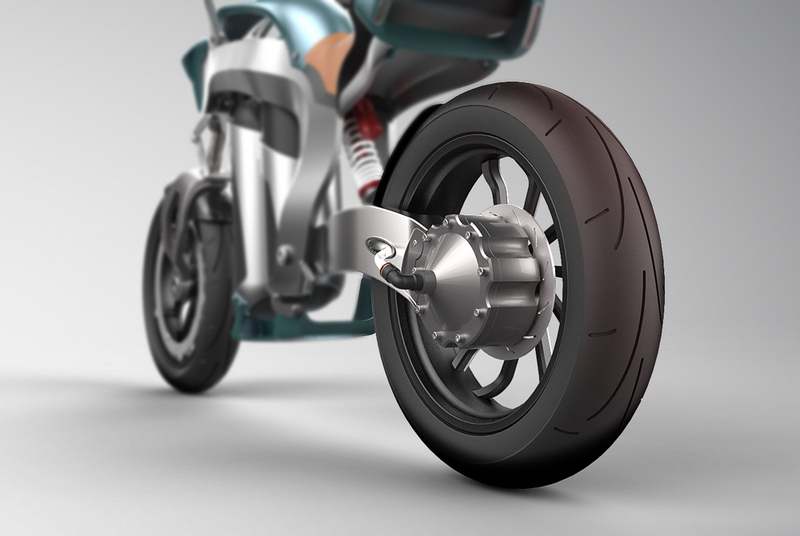 Motorcycle manufacturers are adding complex, overly aggressive and sharp lines into their designs in order to give their designs a sportive attitude and to differentiate from other manufacturers. I believe that this differentiation can also be accomplished by simplicity. Therefore, with all sketches, I minimized the amount of lines and pushed the visual weight to a specific part of the design. By doing so, all sketches have a more balanced character and distinctive visual focus point. The shape of the design evolved out of the characteristics of a kangaroo: powerful hind legs and large feet, and a large muscular tail to keep it balanced while in motion. 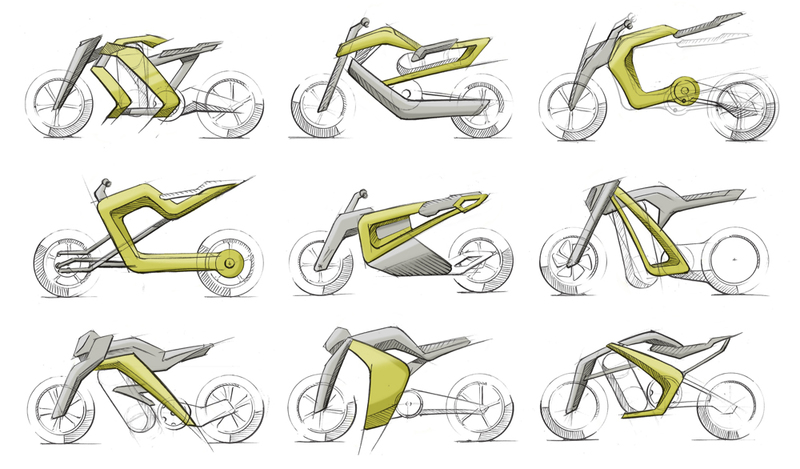 Different shape transitions allowed me to gradually change a Kangaroo’s silhouette into a naked bike frame in which the visual weight was centered as a T-shape. 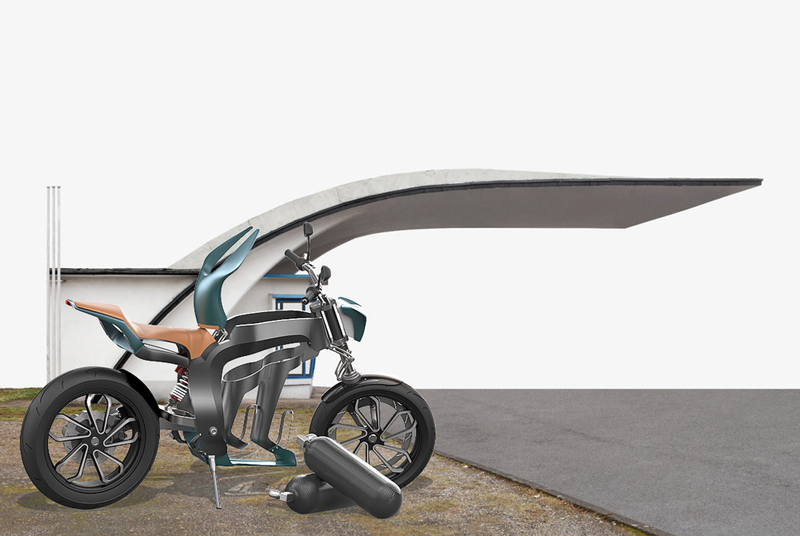 By making clever use of the empty spaces that arose due to the small engine, which is directly mounted to the rear hub, the Kangaroo motorcycle has an extremely refined look and feel. 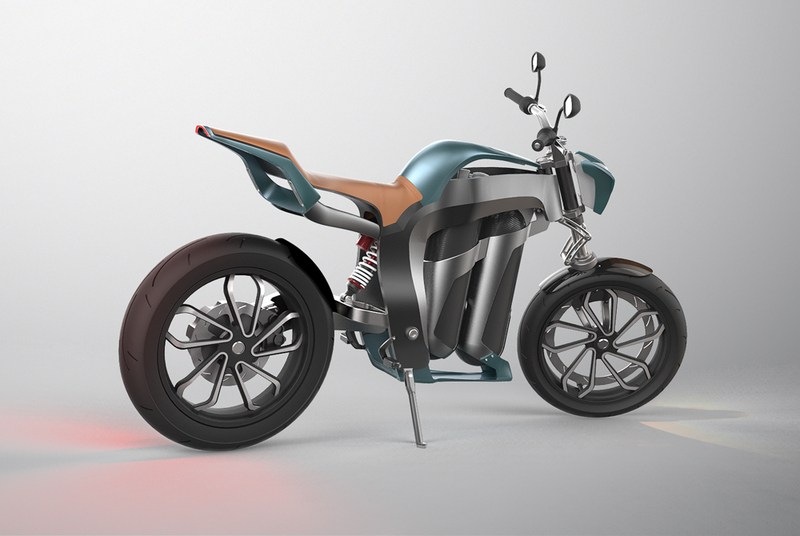 In addition, the single sided swingarm and single centered front fork are not only sustainable solutions, with respect to less material, but also give the design an attractive a-symmetrical appearance.